This brings to 101 the number of members of the Madrid system. 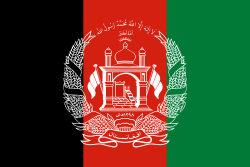 An entity outside of Afghanistan, filing an International Trademark Application on or after June 26, will be able to designate Afghanistan. It will be recalled that the Madrid system offers a way to file a trademark application in many countries through a single filing. The Madrid application process has the potential to provide efficiency and cost savings compared with legacy filing approaches. But some of the benefits of the Madrid system continue to accrue long after the application is filed and indeed long after protection is granted. As a first example, when the time comes to carry out a ten-year renewal, the renewal may be carried out as to all designated countries by a single electronic filing at the IB. As a second example, if the holder finds the need to record a name change or assignment or address change, the recordation may be accomplished by means of a single very efficient and economical filing at the IB. It will be recalled that WIPO provides a very convenient e-filing system for subsequent designations. This e-filing system will be a convenient way to extend protection to Afghanistan, starting from June 26, for holders of existing International Registrations. The two-letter code for Afghanistan is “AF”.